The Bristol Hopper is a great general stillwater dry fly. First devised for fishing on Chew and Blagdon lakes in the South West of England, the Bristol Hooper range of flies cover represents a broad spectrum of natural insects such as Daddy Longlegs and Crane Flies. The Bristol Hopper Brown can be fished static or with a slow retrieve as a dry fly. Or can be twitched and stripped back to create a small wake on the surface as an attraction to cruising fish. This pattern is highly versatile and very effective. 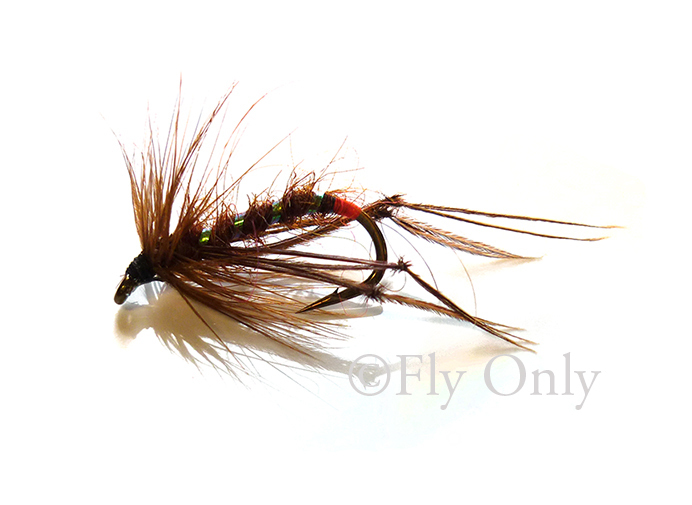 This pattern is highly versatile and very effective trout fly pattern. A highly versatile and very effective stillwater trout pattern. A popular detached body version of the cranefly.